With design ideas from babette, I had these grand plans of how to execute the t-shirts—so I get a little competitive—but after two major fails, I gave up and just went with basic fabric paints. 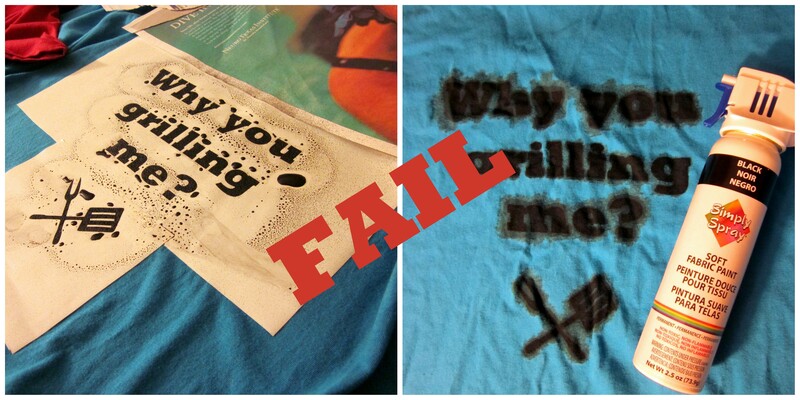 So the first fail was attempting this DIY screenprinting tutorial. It was so hard to stretch the nylon and trace the letters that I just gave up. I also broke one of the embroidery hoops in the process. I think this would have worked a lot better with a simple design instead of letters. 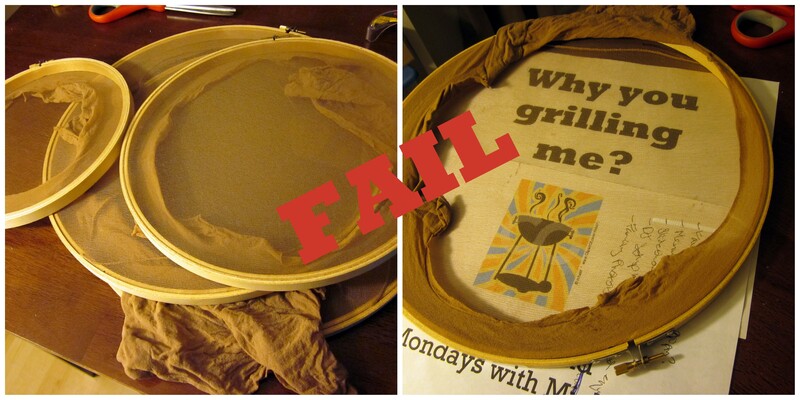 My next attempt was using fabric spray paint. Apparently I’m a little too trigger-happy and the paint bled way beyond my stencil. 😦 I wasted two super-soft tees from Nordstrom Rack! This entry was posted in Birthdays, Crafts and tagged Painting, t-shirt crafts. Bookmark the permalink. You’re persistent. I would’ve probably called it quit after the first try. Rock on. The final result is awesome! 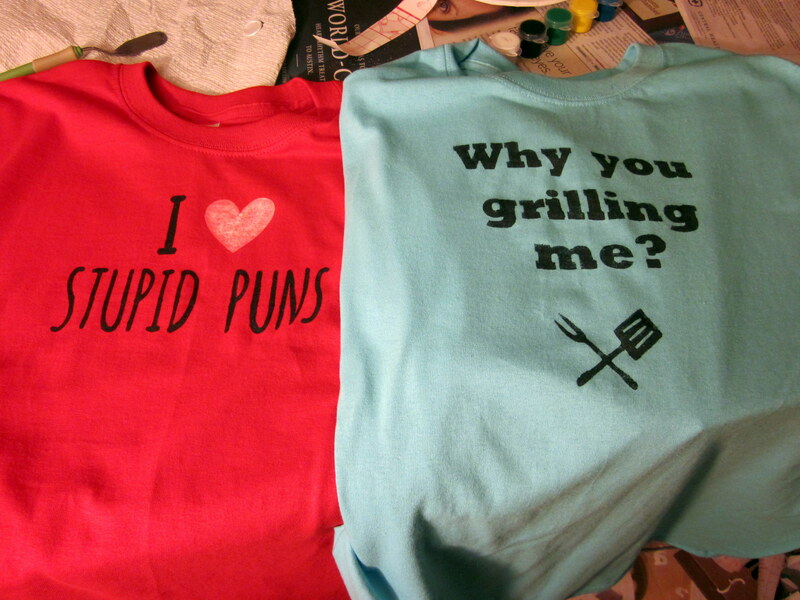 Puns forever! 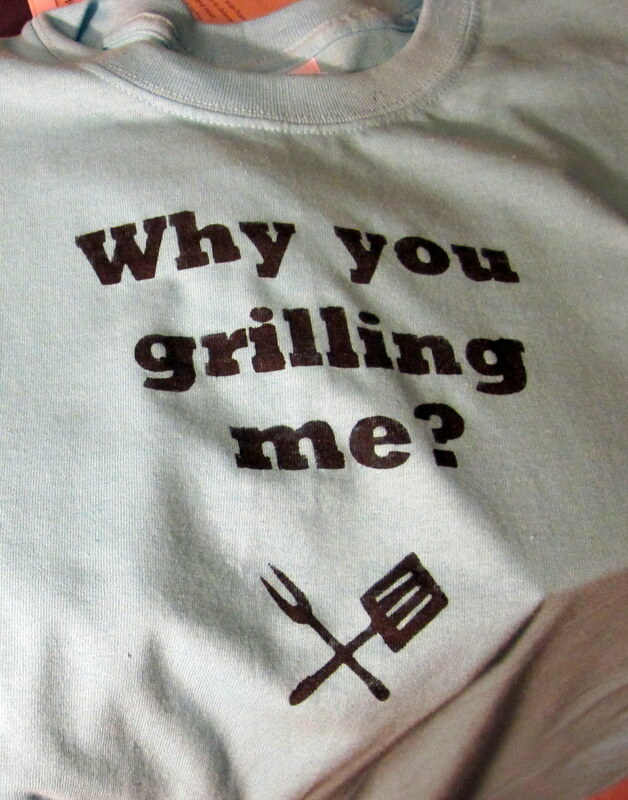 What pun shirt won?